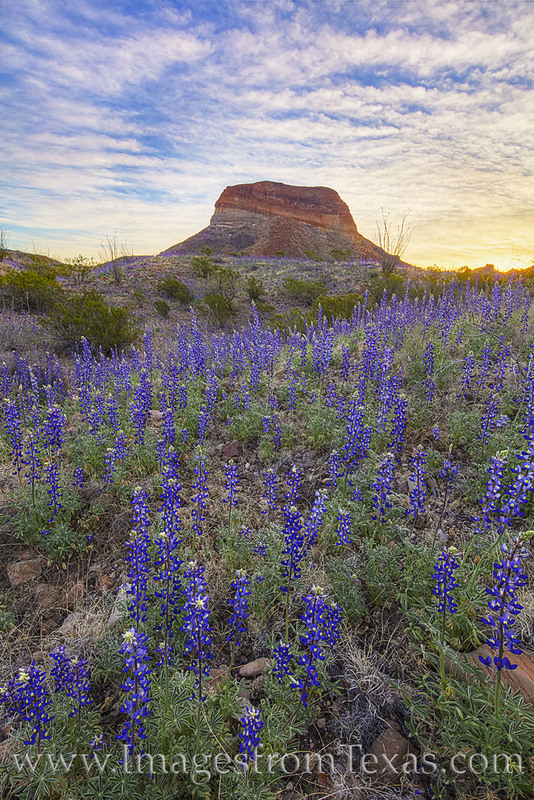 Morning clouds rest over Cerro Castellan as bluebonnets awaken to another cold February morning. The wildflower boom in Big Bend National Park was amazing in 2019, and rivers of blue seemed to wash down the slopes and into the valleys on the slopes of the Chisos Mountains. Photo © copyright by Rob Greebon.